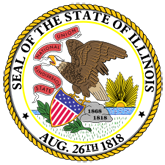 Press Release: On June 20, 2016, the Illinois Liquor Control Commission (ILCC), in conjunction with the Illinois State Police, conducted 14 underage compliance check(s). 1. Liquor Control Commission Underage Compliance Report for McLean County (16-0517-ILCC_McLean_County_2.pdf).